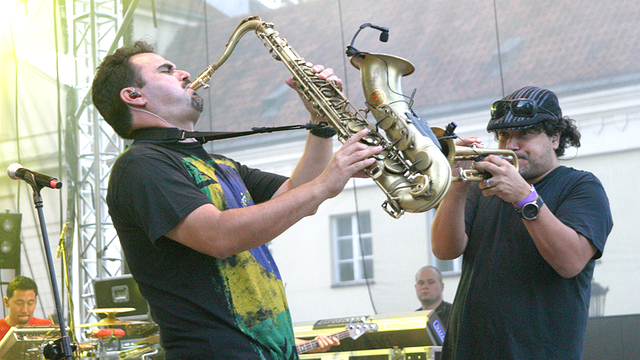 Ozomatli musicians perform in Warsaw, Poland. 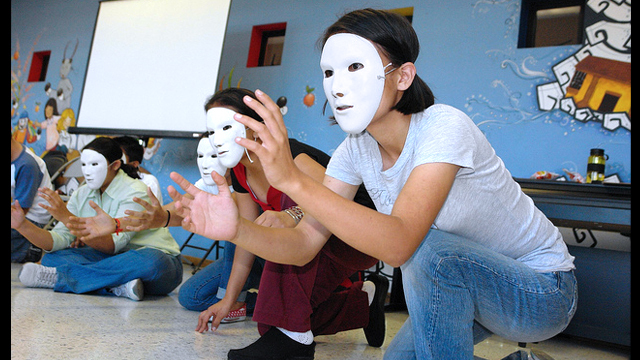 Theater workshop participants in San Salvador explore their creativity. 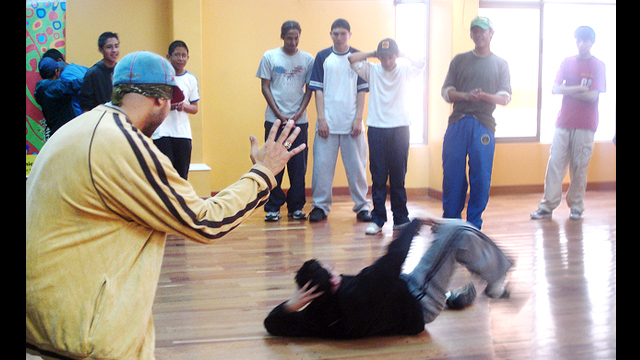 Participants try out their moves in a break-dance workshop held in Bolivia. 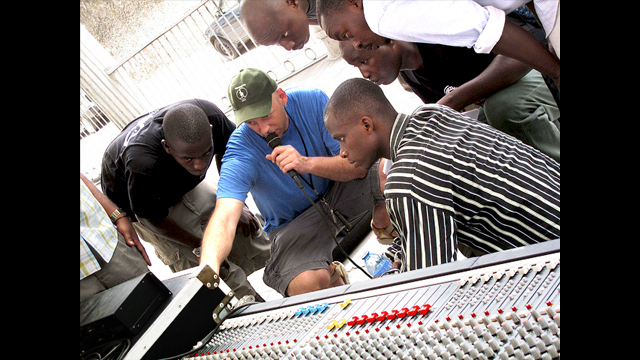 Peter Tidemann trains sound technicians in Tanzania. Ozomatli band members help children play along with the band at children's hospital, Centrum Zdrowia Dziecka, in Warsaw, Poland. 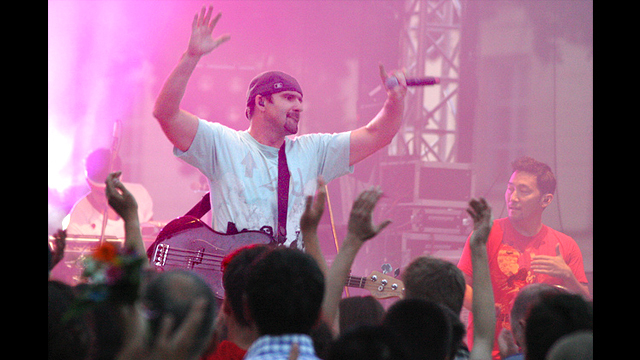 Ozomatli band member Willy Abers energizes the audience in Warsaw, Poland. 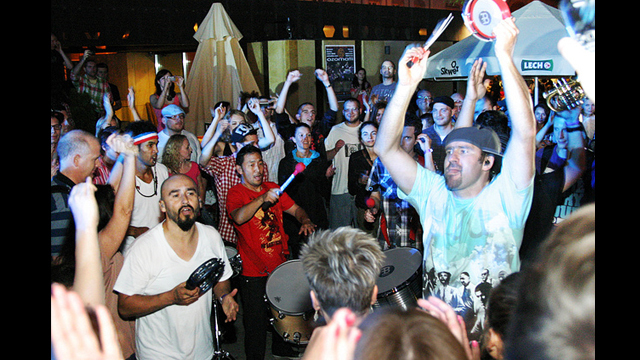 Ozomatli’s outdoor performance in Warsaw, Poland drew large crowds. 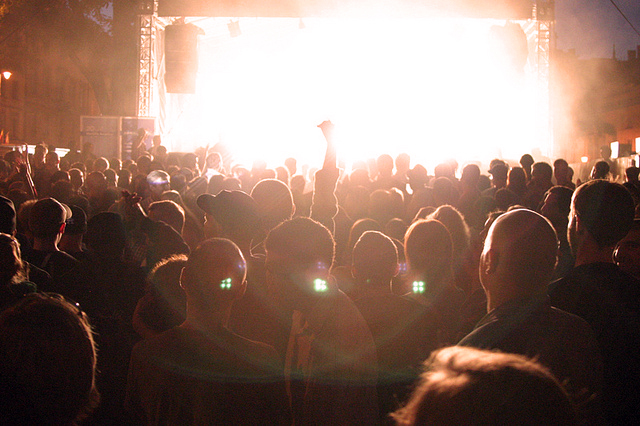 Ozomatli band members join the crowd at Herbert Hoover Square in Warsaw, Poland. The Arts Envoy program engages artists and arts professionals in cultural exchange programs of varying lengths and compositions. Musicians from Poland, break-dancers from Bolivia, and actors from San Salvador were among the many talented artists participating in the Arts Envoy Program.